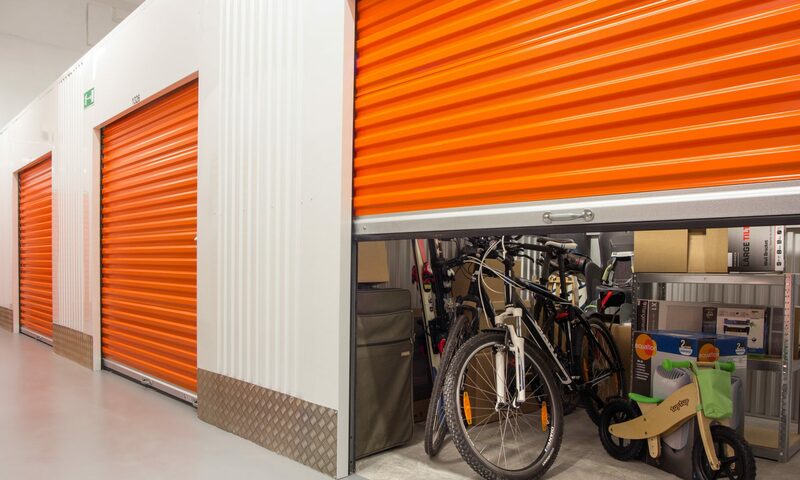 In keeping with our tradition of transparency and forthrightness, today we’re going to highlight some of the less desirable aspects of storage auctions, thereby empowering you, the reader, to make your own judgment calls regarding whether or not attending storage auctions is a good way for you to make extra cash. While the reality shows Storage Wars and Auction Kings initially created a furor around the little town I live in, and had random people calling us up throughout the day just asking when our next auction was, I have also encountered a few folks that don’t share this enthusiasm as it pertains to dropping potentially a few hundred bucks on a stranger’s stuff. One of the most interesting objections I’ve heard so far is that buying up storage units is simply gambling. Now, I do mention throughout some of my posts on this site to be careful if you have a tendency toward self-destructive gambling behaviors, but since I don’t myself have to deal with this issue in particular I don’t usually frame storage auctions as gambling, and I’ll tell you why. Yes, there is an element of risk and uncertainty in buying up storage auctions. It’s exactly this element of risk and surprise that makes delinquent storage lockers so lucrative. If you’re more willing than everyone around you to take a risk on a given locker, then you are the one that earns all the profits. However, the reason I don’t ultimately equate buying up delinquent storage sheds and reselling them for profit with straight up put-your-chips-on-the-table gambling is because even with the element of risk factored in, a skilled and determined auction hunter will make money over time. It’s simply the way the business model is set up. I used to work for a guy that had a genius and passion for selling things on e-bay. In fact, that was the business. We took in things, processed them in the warehouse, and then resold them on eBay. Sometimes the stuff we got was not so good. Sometimes it was great. Sometimes the great stuff didn’t sell very well or for very high prices because no one knew what they were looking at. Sometimes a bunch of junk we didn’t really want made good money. The point is that we processed and listed all of it, regardless of what we initially thought about it. And over time, if you treat storage auctions this way, as raw material to be processed, you will succeed and make a profit. Essentially, what the average joe can do, by using storage auctions as their source of inventory, is access the same basic business model that mega-retail outlets use: get a lot of stuff for a little money. Make it look nice. Then, turn around and sell it for a lot of money. A little bit of cleverness and planning and a willingness to seek out and make it on time to the local storage auctions around you will provide you with all the inventory you need to set up a successful, profitable, and even, dare we say it, enjoyable side business. Now, all the same, like anything nice in life, there are downsides to storage auctions. I thought I would go ahead and discuss some of the pitfalls you wouldn’t normally consider when you’re first getting into the action. For one thing, it’s true that there is a risk here for people that tend to lose themselves to gambling or similar risk-taking behaviors. I know plenty of folks that take way too much of the paycheck that just came in and waltz right into the next local storage shed sale hoping that, today of all days is going to be the big day. Today they are going to find that box full of rare heirloom jewelry valued at millions of dollars. Of course the real problem with this is that most of the time they’ll let all the stuff they’ve collected at their various storage auctions just sit and rot. They don’t want to do the work of getting it out and making sales. If you’re thinking like this, you need to turn around and run in the opposite direction of any delinquent storage sheds you see up for sale. This is much the same thing as that guy you know who cashes his paycheck and buys 3 reams of lottery tickets. Or the guy who makes it all the way to payday just to plunk er’ all down on one hand of blackjack. Always remember that even though people do get lucky sometimes (and that’s part of the overall thrill and allure, of course) you need to think about selling the goods you find in storage auctions as your side job. The other major pitfall that could deter you, depending on your constitution, current situation, bodily health and general disposition, is the fact that buying and reselling what you find in locker auctions can be a lot of work! Getting to the auction and winning units is the easy part. The hard part comes in when you have to start loading up your vehicle(s) with all your new inventory, lugging it home, getting it inside, sorting it out, cleaning it up, identifying and pricing it, and then beginning to list it online for resale. For some people, this is simply too much. For others, it’s an absolute blast and something they can share and enjoy with their partner or friends and family. Some people thrive on it. If you can’t find steady work, this may be a way to get something going for yourself. It all boils down to how much time and effort you’re really willing to invest in this wacky, exciting, disappointing, frustrating, sometimes jaw-dropping sort-of-profession. Next PostNext Reader Question: Are Storage Auctions For Real?